Think of artificial intelligence and an image of HAL’s piercing red light in 2001: A Space Odyssey or even the emotionally needy android of Ex Machina may spring to mind. But applications of AI are all around us and much more prosaic than those sci-fi icons. Think about Google’s search or the video suggestion features of Netflix. They are being joined by one of the fastest growing applications of AI, and one tech companies including Microsoft are betting big in – chat bots. They are really yet to make their mark here, but artificial intelligence, machine learning and natural language processing is being used to develop platforms that will increasingly see the hassle of day to day online transaction being handled by computer applications that converse with us, learn our behaviour and perform tasks on our behalf. The plan is for bots to become the user interface to computers and smartphones, taking on different personalities and guises depending on the application, interactive via text and speech. They’ll replace mouse clicks and form filling on websites. Think of all the mundane things we spend time doing on the web – scheduling meetings, booking hotel rooms, paying bills – bots are increasingly capable of doing this for us. “It is taking the power of natural language and pairing that with machine intelligence so that it could enable us to get more done to have more fun to work with things like intelligent bots and intelligent agents,” says Dave Forstrom, the director of communications for Microsoft’s Windows and devices group. Listen to Microsoft’s Dave Forstrom talking about Microsoft’s work in developing chatbots. Indeed, you need only look to China to see the potential of chatbots. Microsoft’s Xiaoice bot has been available as part of the WeChat social network for the last couple of years and has over 40 million users. An average conversation with the bot goes for 26 interactions – the Chinese are comfortable talking to a computer that gives them realistic answers. “What they’ve accomplished is a messaging service platform that is the only app that people need over there. They don’t have to go out and visit other websites. They don’t have to go out and download other apps. That experience is curated within the messaging platform through the help of bots,, these intelligent helpers that provide services so you can get things done right in the context of a conversation,” says Forstrom. “I think the most remarkable thing about Xiaoice is what we see from an engagement perspective. To say that that Xiaoice is a popular bot over in China would be a huge understatement,” he adds. But will it take off in the Western world? Microsoft’s first foray into chat bots for English-speaking audiences was a bit of a disaster with the Tay chat bot able to be manipulated by users to produce racist and highly inappropriate comments. Zo, its newest chatbot was released a few days ago on the Kik platform and seems to have had a much smoother debut. Asian cultural traits have certainly proved compatible with chatbots, says Forstrom. 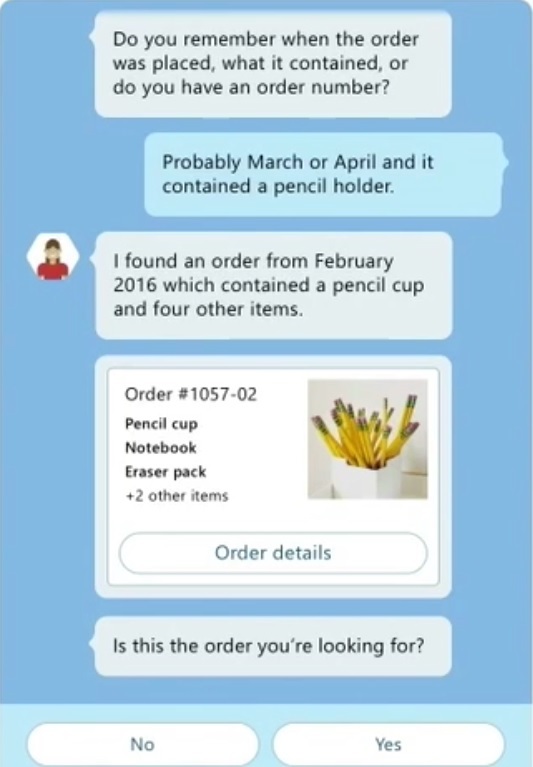 Microsoft sees chat bots as a simpler way of getting things done than the app environment developed by Apple and Google. 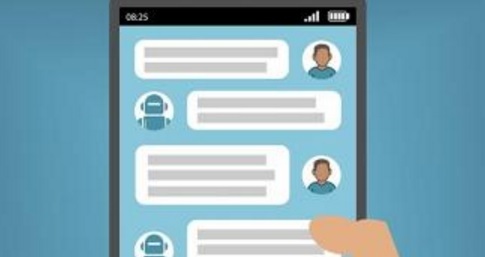 While chat bots are already in use across Microsoft’s ecosystem of services, its bot framework can power chatbots on any platform via any device. That’s what it sees as being its competitive advantage. But aren’t the big social networks likely to develop their own chatbot technologies? Not necessarily, says Forstrom, who points to the use of Microsoft’s technology in China. But what about the biggest network of them all – Facebook? “So Facebook absolutely has a lion’s share of it from a a platform perspective in messaging. But we don’t feel exposed,” he says. 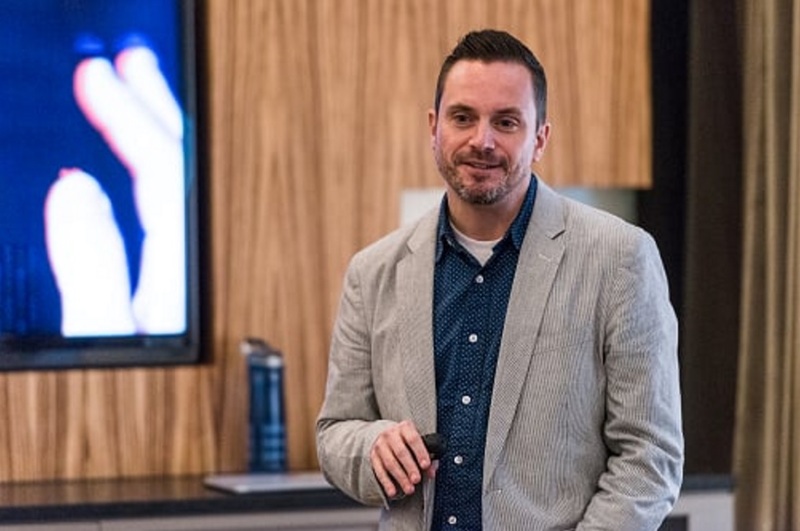 Forstrom says its early days for devleopment of chatbots, but a lot of Microsoft resource is going into artificial intelligence applications, including the development of its bot framework. Important to the success of chatbots is making consumers comfortable with the technology. “We have to build trust into the experience. A lot of the set up right now in the context around AI is sort of pitting man versus machine. It is important for us to make sure that we’re incorporating trust into the experience. So we do that in terms of incorporating privacy and compliance and security,” says Forstrom. NEXT: 25 years of Microsoft Research – the power behind the tech giant’s R&D capability.